The Supreme Court (SC) en banc temporarily stopped the Commission on Elections’ (Comelec) order disqualifying 25 candidates nationwide including three from Cordillera. 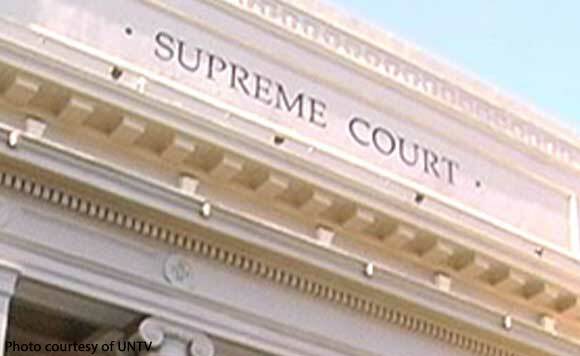 The SC issued a status quo ante order against Comelec Resolution No. 18-0286. Comelec earlier said Edgar Avila, who is running for Baguio mayor; Adrian Libang, who is running for Mountain Province Representative; and Josewon Lippad Oryan, who is running for Barlig Councilor, did not use the proper form to file their certificates of candidacies. The SC also ordered Comelec to comment on Avila’s petition for certiorari within 10 days upon receipt. Avila insisted that he couldn’t be disqualified because the grounds being cited were matters of form and not substance.